Pomfret is one of the most beautiful locations in New England. 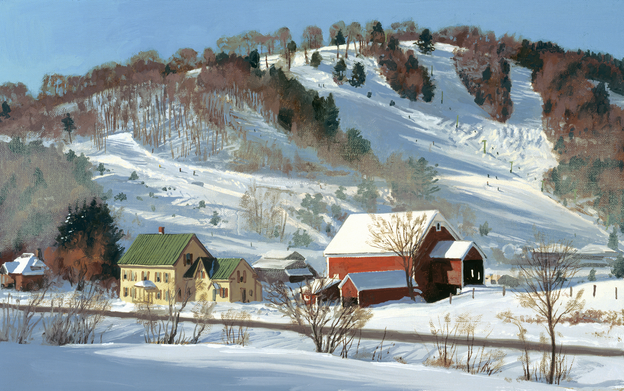 Pomfret is one of the most beautiful locations in New England, with its clear running brooks and green rolling pastures perfect for skiing, hiking, walking and more intense pursuits like farming. The Appalachian Trail runs right up and over Pomfret on its way to Hanover, New Hampshire. You’ll find Cloudland Farm here with its Angus cattle and the popular off-the-beaten track farm-to-table restaurant. A not so tongue-in-cheek sign at the farm nearby advises hikers that short-cutting through the fields will end up with an impromptu “running of the bulls” with hikers likely to lose to the bull. But, go up and over and around the scenic Pomfret dirt roads and you will surely find little pieces of heaven. Wild Apple and Oatway Farms are just two examples of the iconic properties listed here by Snyder Donegan Real Estate Group. In Pomfret, people give names to their farmsteads or refer to location by family name. Directions are the same, “Just past Oatway and the orchards on the left…” One resident named his property “The Sweet Spot” and runs his professional recording studio of the same name out of an attached barn. 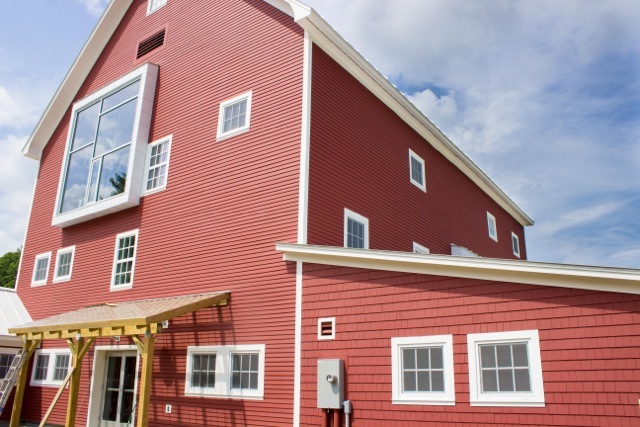 Speaking of barns, an old dilapidated barn that was, for the longest time, in disuse as part of the MIT Ski House property, is now the splendid big bright renovated Artistree Arts Center just up from Teago General Store. The arts organization – part of the greater Woodstock community -- offers workshops, well-lit studios, galleries and performance space. Through the large glass windows at the back of the big old red barn you can see “The Face” of Suicide Six Ski Area, run by the Woodstock Inn and Resort. The Woodstock Ski Runners program for local kids is operated at “Six”, a great place for locals and families. During colder winter days its traditional tree-lined New England trails protect from the wind making skiing or riding much more pleasant and fun. It’s also no big deal to take a few runs every day and head back to work or pick up the kids at school. Location is everything as the ski area is also just down the road from The Pomfret School, a Windsor County charter school for elementary-aged children. Settled by some folks from Connecticut, Pomfret was named after England’s Earl of Pomfret. The community is just 40 square miles. You might have to drive by twice to catch the Pomfret Town Clerk's Office , a tiny brick building, sitting atop a steep hill dividing North and South Pomfret. The views from this hillside are perfection. Moore’s apple orchards fall off to one side, a popular place for apple picking in the Fall. Also in North Pomfret the former Trafalgar Square Publishing cattle farm which, for many years, was the exclusive importer of British books in the U.S. and publisher of several well-regarded equestrian manuals. Vermont Law School in South Royalton is within minutes of Pomfret for those who have interests there and close to Interstates 89 and 91 for quick commutes to Dartmouth Hitchcock Medical Center or north to Montpelier and Burlington. 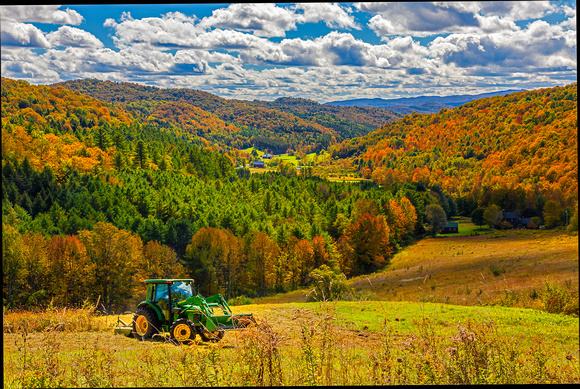 Pomfret real estate offerings reflect ties to the land – many with barns, ponds, equipment sheds, maple tree-lined winding dirt roads into cozy valleys or up onto magnificent Vermont hilltops. The sweetest antique cape houses provide welcome quiet retreats while expansive contemporary homes are ready for you and your guests. Look at our listings for some ideas. 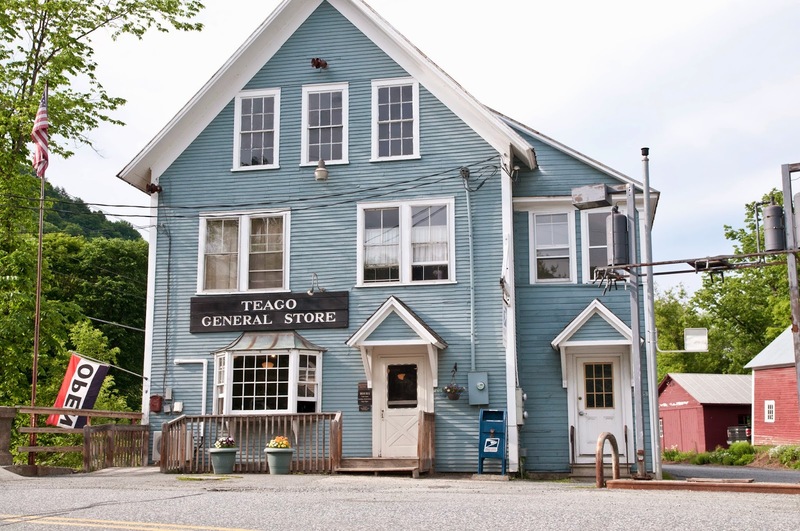 If you are looking for some daily social life, just stop by Teago General Store to pick up your mail and enjoy coffee and a sandwich made by one-time professional Chef Chuck Gunderson. Chuck also helped start and run an alternative radio station back in the day and writes a column for The Vermont Standard. People are busy here. Everyone has a back-story. What’s yours? Some of the more famous people who have chosen Pomfret as their home include Rush Hawkins, a Union general during the civil war; Judah Dana, later to become a Maine State Senator; Lyman Johnson, a leader of the Latter Day Saints; Joe Perry, Aerosmith guitarist; and William Arkin, an arms expert and political journalist. Each of these individuals found property in Pomfret that suited their requirements for living in a fertile, beautiful place, close to urban centers, but seemingly far, far away. Pomfret is a place where watching the full moon setting as coyotes yip in the distance is a welcome reason to wake up early in the morning, starting another fresh Pomfret, Vermont day.